A long time ago, in a Mysterious Galaxy far, far away…well, actually, just last year at Mysterious Galaxy we joined together with Star Wars fans from all over to celebrate Star Wars Reads Day. This year we are doing it again! This year we celebrate the fun of reading about our favorite galactic heroes and villains with Star Wars Origami author Christopher Alexander, members of the 501st, and fans from all over the galaxy. We have a lot of fun activities planned including a civilian costume contest judged by members of the 501st, and a great Death Star backdrop for family photography! So break out your gold bikini, load your little Jedis into your X-Wing, and fly on over to celebrate with us, and May the Force Be with You. NOON SUNDAY, JANUARY 13 Timothy Zahn • Star Wars: Scoundrels ﻿Hugo-award winner Timothy Zahn, best known for his New York Times bestselling Star Wars novels, visits with Scoundrels, his new novel set in the Star Wars universe. Members of the 501st Legion: Dune Sea Garrison also attend in full Stormtrooper uniform! Han Solo should be basking in his moment of glory after having just played a key role in the daring raid that destroyed the Death Star and landed the first serious blow to the Empire in its war against the Rebel Alliance. But there's a bounty on his head—and if he can't cough up the credits, he'll surely pay with his hide. The only thing that can save him is a king's ransom. Or maybe a gangster's fortune? That's what a mysterious stranger is offering in exchange for Han's less-than-legal help with a riskier-than-usual caper. So Han assembles a gallery of rouges—including his indispensable sidekick Chewbacca and the cunning Lando Calrissian. But will their crime really pay, or will it cost them the ultimate price? EVENT DETAILS Event ticket (admits two) is free when you purchase Scoundrels from Changing Hands Bookstore. Letter groups (printed on top of ticket) will be called at 11am to fill seats and designated standing room. If available, seating and standing room opens to those without tickets at 11:45am. Space cannot be guaranteed for late arrivals. Booksigning line forms by assigned letter group after the presentation. Those without tickets may get their books signed after ticket-holders, if time allows. Event details may be subject to unannounced changes. ABOUT THE AUTHOR Timothy Zahn is the author of more than forty science fiction novels. He has also written many short stories, as well as Cascade Point, which won the Hugo Award for best novella. His other works include the Dragonback series, of which Dragon and Thief was an ALA Best Book for Young Adults, and the New York Times bestselling Star Wars novel, Heir to the Empire. Zahn lives in Oregon. THE DUNE SEA GARRISON is the Arizona chapter of the international Star Wars costuming club known as the 501st Legion. With over 3,000 members worldwide, the 501st, while not sponsored by Lucasfilm Ltd., is Lucasfilm's preferred Imperial costuming group. Members of the Dune Sea Garrison strive to create movie quality, screen accurate costumes of the "bad guys" from the Star Wars Universe. From Stormtroopers to Boba Fett, from Jawas to Darth Vader they strive for quality and accuracy in every costume they create. The team of Scoundrels – Han Solo, Chewbacca, and Lando Calrissian – is back in action and on the run when they are tasked with stealing from a crime lord in Timothy Zahn’s new interstellar heist adventure, set in the classic “Han Shot First” era of George Lucas’s Star Wars universe. Tim’s Thrawn trilogy, written 20-some years ago, was the first introduction for many readers to the expanded universe. Members of the local 501st will attend in costume, and we anticipate a lively discussion of the plans to continue the movie franchise under the House of Mouse. Timothy Zahn reads from Terminator Salvation: From The Ashes: The Official Prequel Novelization. 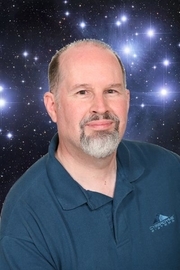 Timothy Zahn is currently considered a "single author." If one or more works are by a distinct, homonymous authors, go ahead and split the author. Timothy Zahn is composed of 3 names. You can examine and separate out names.